Chagatai Khan: How to Boost Pakistan's Foreign Exchange Reserves. How to Boost Pakistan's Foreign Exchange Reserves. Pakistan is being pushed to the Wall by the World, we are practically begging to every donor to help us; at least now we must stop our bureaucratic approach, open our eyes and diagnose the real problem and look for solution. Non Resident Pakistanis (NRP)’s Home Remittances & Investments in the Country can be the best source versus International Donors who are always on our throat and making us swallow the strictest of conditions for their Loans/Aids/Grants. Lack of Security is creation of Missing Basic Facilities required by Human Beings. Basic Health Care, Employment and Proper Shelter are still desired in Pakistan after passing 62 years of its independence. One must admit that present security conditions in Pakistan and in the World are not conducive to attract any Foreign Investment from only an investment point of view. One can still rely on NRP Business Houses. They may still be convinced with sovereign guarantees & extraordinary benefits. This can be done for Power Generation, Mining, and Oil Exploration & Export oriented industries like Fisheries from Catching to Export & other perishable items like Fruits, Vegetables and other agricultural products from growing to Export by using latest technology to increase their per hectare production, picking, cleaning, packaging, preservation, and transportation in refrigerated containers maintaining required international standards. By increasing our Exports and avoiding present wastages, lesser production per hectare & sub standard quality, we may generate good amount of Foreign Exchange for our country. Presently, we do not have required infrastructure to attract foreign investments, so with whatever little resources we have we should give our best shoot to boost existing industries, whereby at least they will continue to provide employment to unemployed and slowly and gradually environment would change. Similar sort of incentive & support must be provided for NRP’s and institutions who are servicing them. They are employed all over the world and without much demand can contribute a lot for the betterment of Pakistani Economy. What they require from us is a timely payment to their Parents, Friends and Relatives in Pakistan. The business of Exchange Companies is Cash Oriented; therefore the withholding tax on A Category Exchange Companies and their Franchises must be removed due to the overall cost involved. The tax so deducted is surely easily not recoverable and therefore the companies have no choice but to inflate the cost to the remitters. This precisely results in additional USD 4 – PKR 300 to the remitter of PKR 100K. In the scenario to absorb this cost, companies offer the lower rate to the beneficiaries, which eventually may lead to discontinuation of remittance through official channel. The potential damage is much higher that actual business. This withholding tax withdrawal to the Exchange Companies must be seen positively as application of Tax should be at least depending on realistic profitability of Business and not in the form of Advance Payment, which at times results minimum four times higher than expected profits. 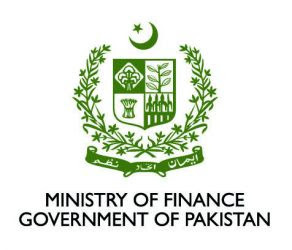 Government of Pakistan (Finance Ministry) through SBP is offering SR 25 Incentive / Benefit to the Banks even when the remittances originally are made by the Exchange Companies / Remittance Companies from Middle East / Abroad. When the objective of the Regulators / Policy Makers is to increase the Home Remittance volume, and additionally knowing that the formation of Exchange Companies is meant to improve this area, this incentive should also be passed on to all Exchange Companies, especially those which are engaged in the remittance business, and having relationship with the major overseas remittance companies. This will surely be an encouragement for them to not only increase the volume, but will help them expense more to achieve the higher targets. The A Category Exchange Companies should be allowed to export all currencies except USD. This once again was and is the part of original planning for the Exchange Companies. Banks are reluctant to open the FCY and even PKR accounts for exchange companies, and therefore depositing FCY with the Bank is a difficult task. In case the currencies are deposited, the cost incurred on such deposits is high. In order to get the maximum benefit of such exports, Exchange Companies should be bound to surrender 90% of the proceeds in the inter-bank market to keep the exchange rate stable. In fact the higher amount so received will help keep the rate at the decent level. The balance only 10% should be allowed for the outward remittances for individuals and even small importers. Undoubtedly the help to small importers will bring more transparency apart from saving to the SBP direct FX Reserves. 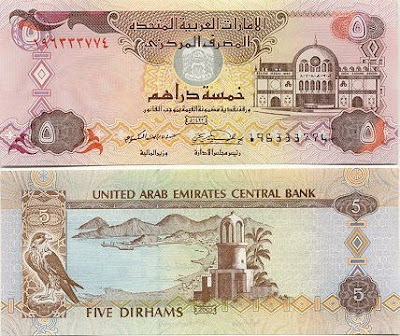 Presently, it is being misused and exported illegally by unauthorized /disorganized operators who don’t have any borders and this can be verified if one compares the statistics of past volume and current volume handled by Exchange Companies by way of depositing these banned currencies in their FC Account with local banks. The Banks are excessively charging on the FCY deposits, while also not entertaining at times by not establishing the accounts, as mentioned above. In the first case, the extra charges obviously increase the Exchange Companies funds cost heavily. The extra currencies conversion into USD results further cost to the companies. This technical business activity surely gives the Banks lucrative FXearning while incurring cost to the Companies, without much substance. The solution would be to export as mentioned above, and to ask the Banks to open accounts of Exchange Companies and only charge at the time of conversion into USD through FX rate, without any flat flee. On the lighter note, it is mentioned that the passenger allowances of USD 10 K per passenger should be restricted over a period, not every time they fly out. Moreover, the SBP should look at the FCY private accounts more judiciously and carefully because at times used unnecessarily for the remittance and other FX activities which should remain limited to Non Resident Pakistanis. It is further mentioned here that it should remain limited to Financial Penalty; the other punishments highlighted may develop uncontrolled fears which will not help in business concentration and operational efficiency at the higher levels. Such a nice platform for whom, who wants to understand about international foreign exchange. 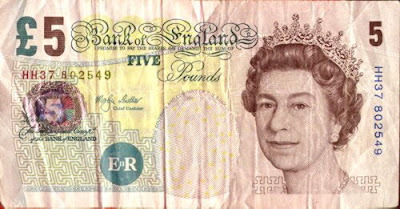 You can here currency exchange comparison yourself and have your money exchange in a reasonable money exchange rates.